Breeder/owner Paul Caravetta wasn’t in the best of moods last Sunday after leaving the winner’s circle with the knowledge that his horse had been claimed following the sixth race at Hastings Racecourse. 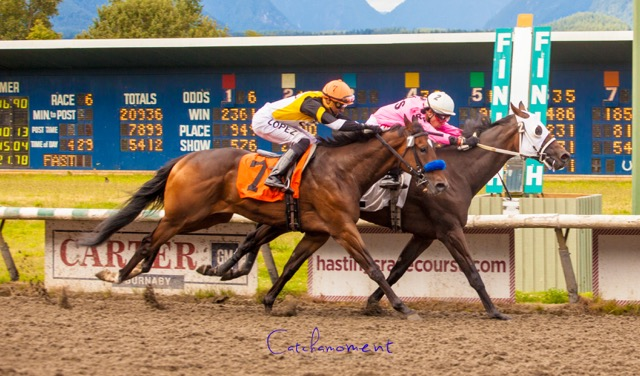 Dashing Don, a California-bred 3-year-old gelding, had gone wire-to-wire in an allowance optional claimer for his second straight victory within the last two weeks. “Losing a horse to a claim is all part of the business,” Caravetta said. “But this one stung a little more. He was something special.” Something special because Dashing Don had been named after Paul’s best friend and business partner Don Adams, who passed away on October 18, 2015.